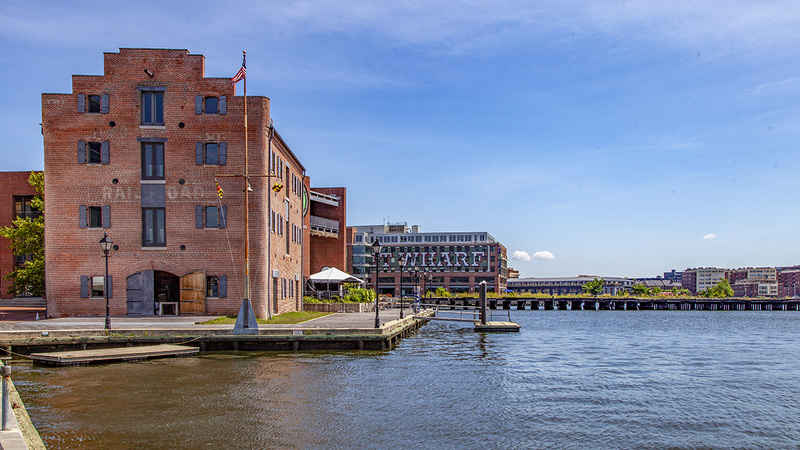 This five-acre riverfront landscape is located on the historic site of Chase’s Wharf, the oldest existing industrial warehouse in Baltimore. 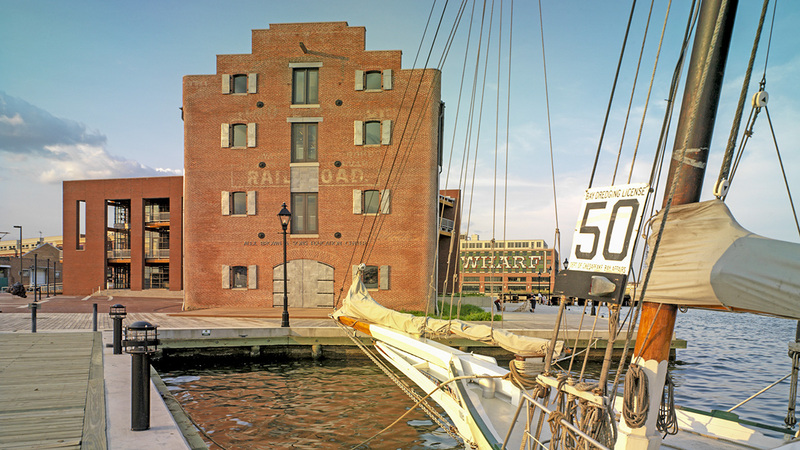 The wharf derived its name from Thorndick Chase who bought the property, located in the Fells Point neighborhood, in 1798. The Chase family became successful merchants in the coffee, flour, and tobacco trade. 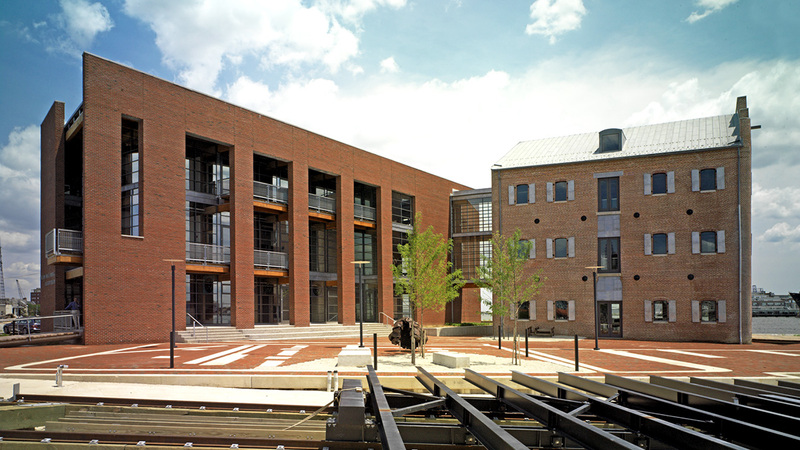 As business increased, numerous brick and wood-frame structures were built on the site, including warehouses, office buildings, and residences. In 1873 the property was sold to the Baltimore and Ohio Railroad, after which time many of its buildings were used as coffee warehouses. In 1993 the wharf’s last extant warehouse, an 1840s-era building called the Sugar House, caught fire, destroying the roof and top floor. In the late 1990s the property was acquired by the city and the Living Classroom Foundation. 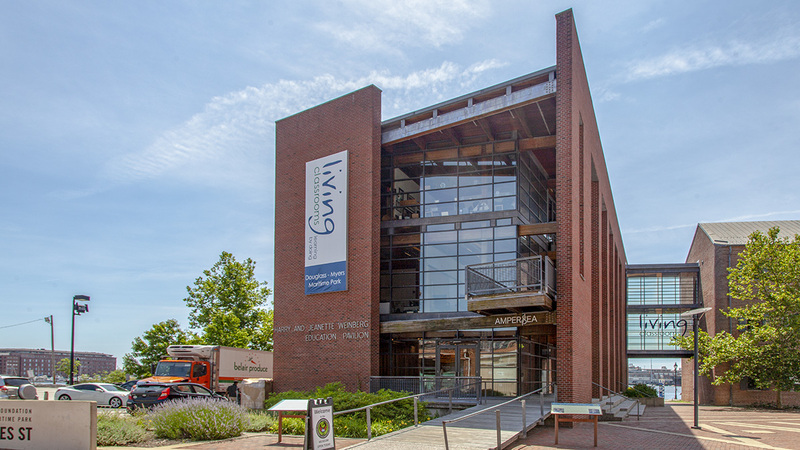 The wharf was transformed into a maritime park by landscape architect Michael Vergason, and the warehouse was restored and converted into a museum honoring African American maritime history. 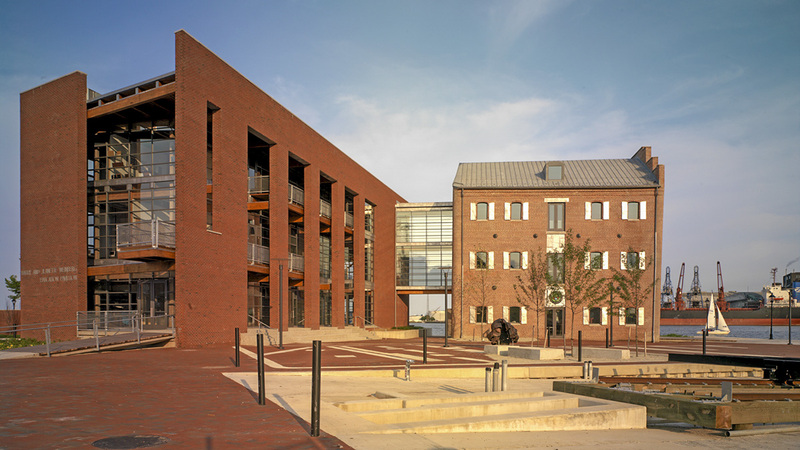 The Frederick Douglass-Isaac Meyers Maritime Park opened in 2006. 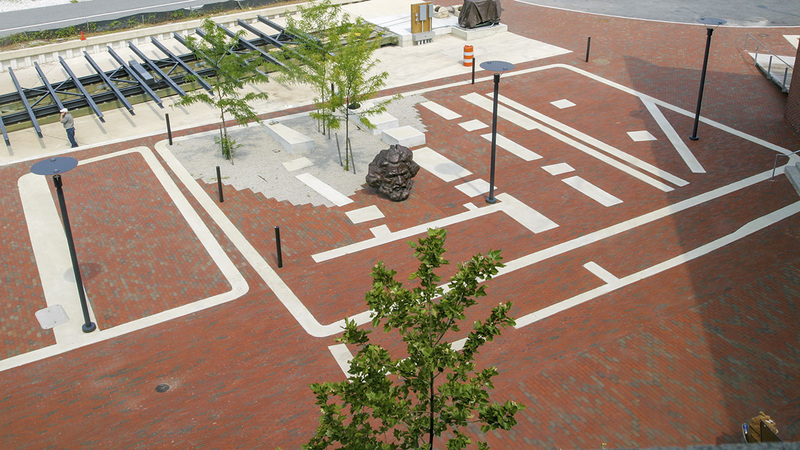 Located at the southwestern tip of Fells Point the park is almost entirely paved in red brick. White concrete insertions in the pavement trace the locations of past homes, warehouses, and other industrial buildings that once stood on the site. 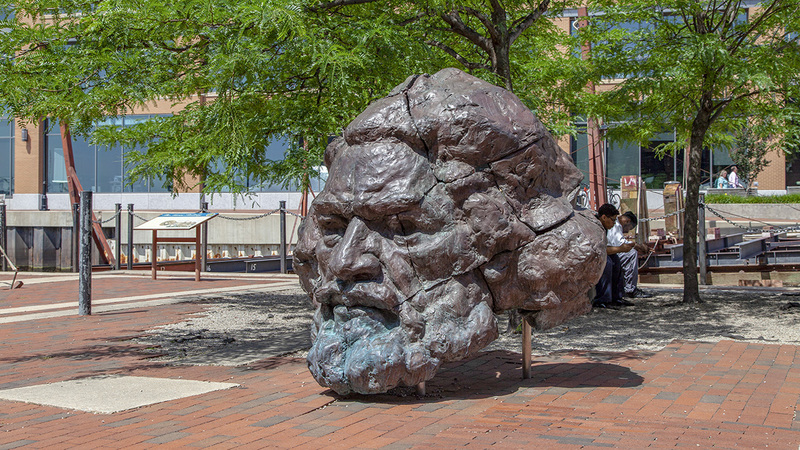 Within the tracings is a small stand of trees, a group of low, concrete blocks used for seating, and a large bronze sculpture of Frederick Douglass’ head (which rests directly on the pavement) by Marc Andre Robinson. Immediately to the west of the park is a working historic marine railway. 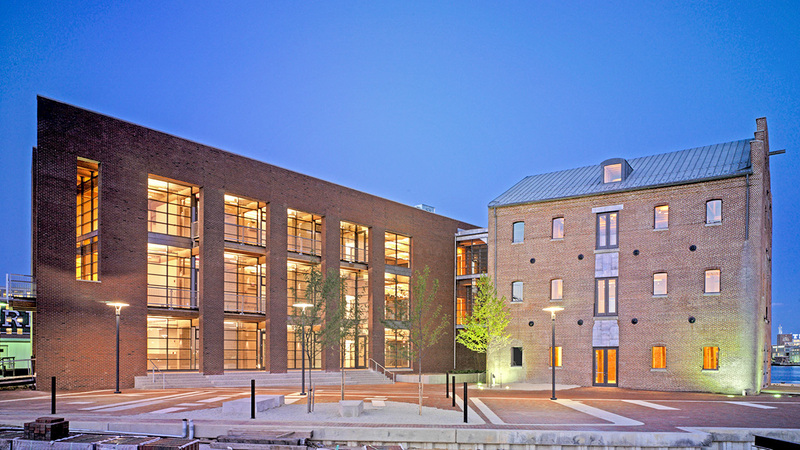 To the east are two three-story brick structures—one a building completed in 2006 that functions as a “living classroom,” the other a restored nineteenth-century warehouse that gas been converted into a museum. 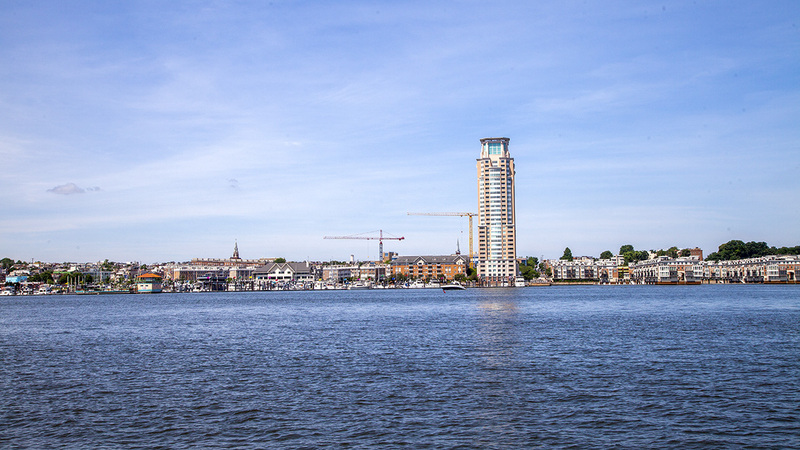 To the south, the park’s brick paving gives way to a wooden dock that wraps around to the east and extends out into a pier. The site is located within the Baltimore National Heritage Area.